New 5K to 10K App Picks up Where Couch to 5K® Left Off! The wait is over! 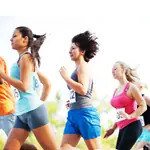 Did you fall in love with the ACTIVE.com Couch to 5K® mobile app training plan and subsequently crush a 5K? Want to take it to the next level, but not sure how? Our new mobile app picks up where the Couch to 5K app left off!